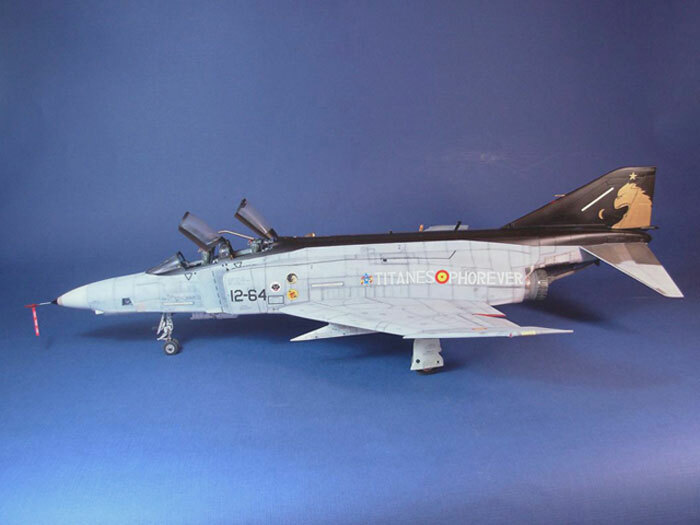 The RF-4C served with 123 Squadron, Ala12 from Ejército del Aire (Torrejón, Madrid-Spain) from 1978 to 2002. 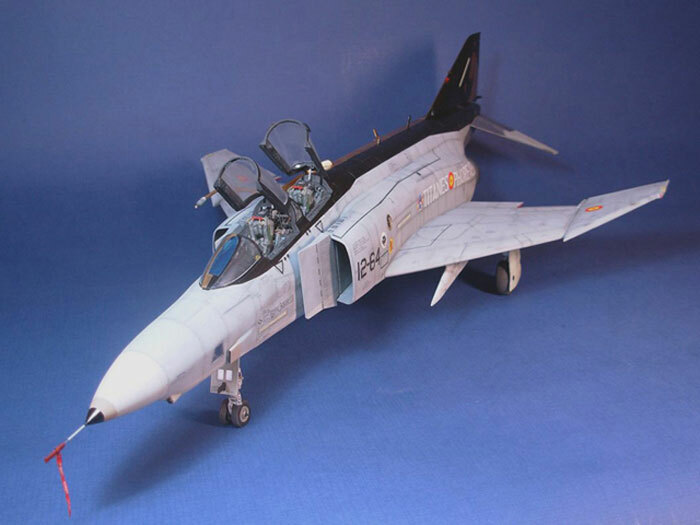 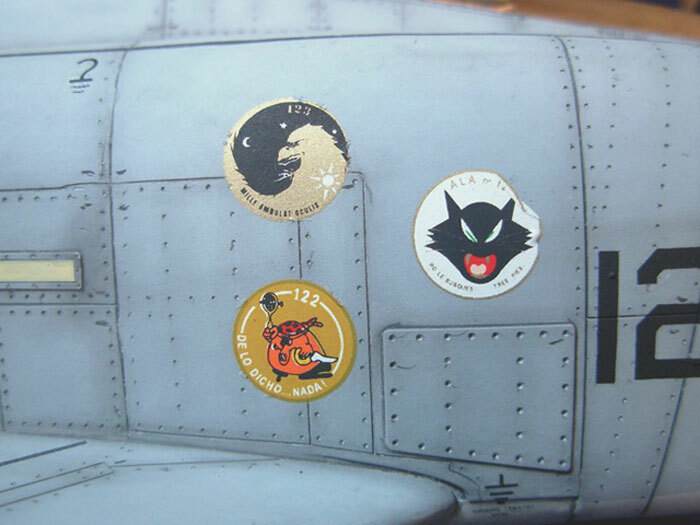 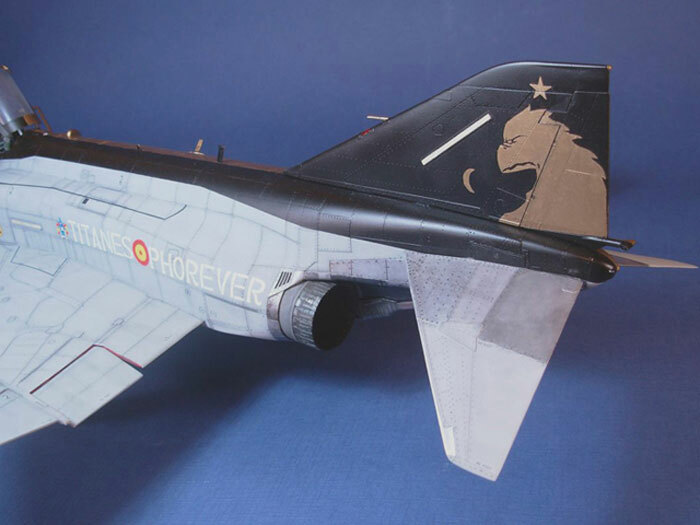 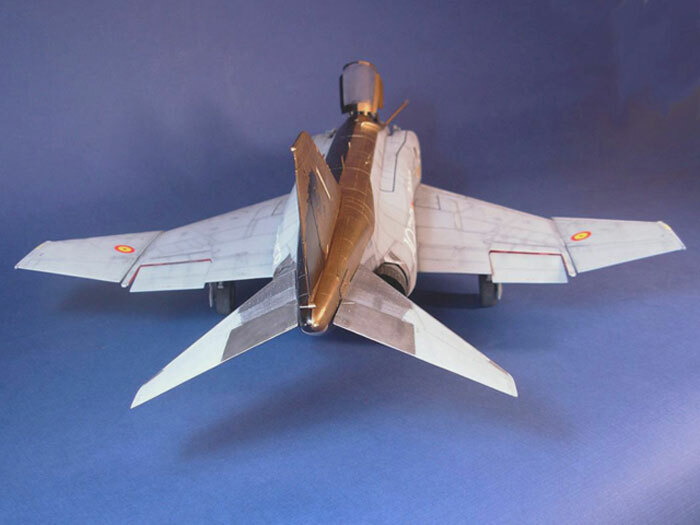 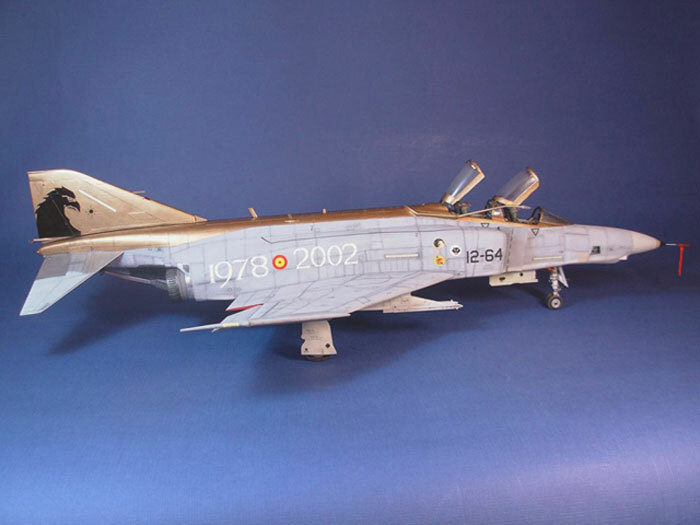 18 November 2002 saw the farewell of the last Spanish Phantom, and for the occasion the aircraft 12-64 was painted with this special scheme. 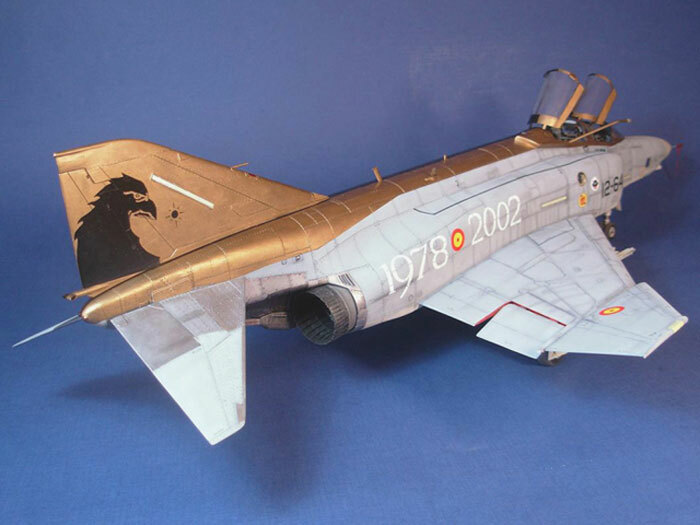 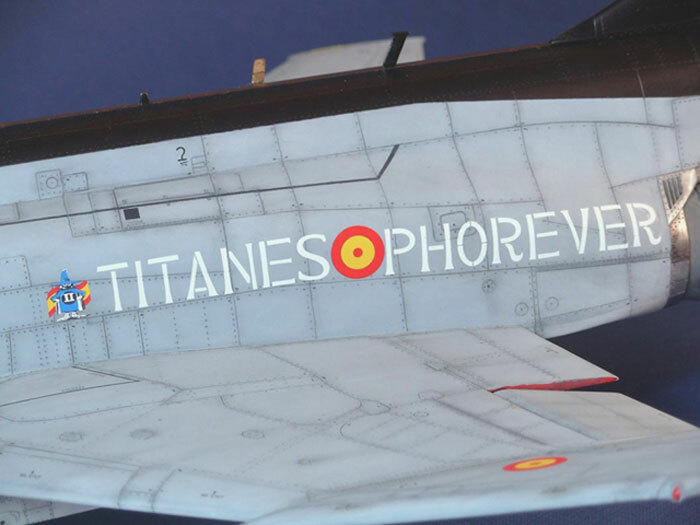 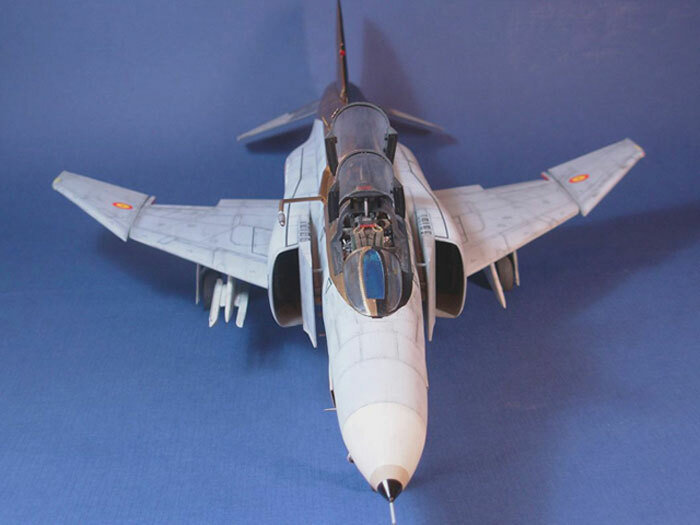 Now there are no more Phantoms in the Spanish sky. 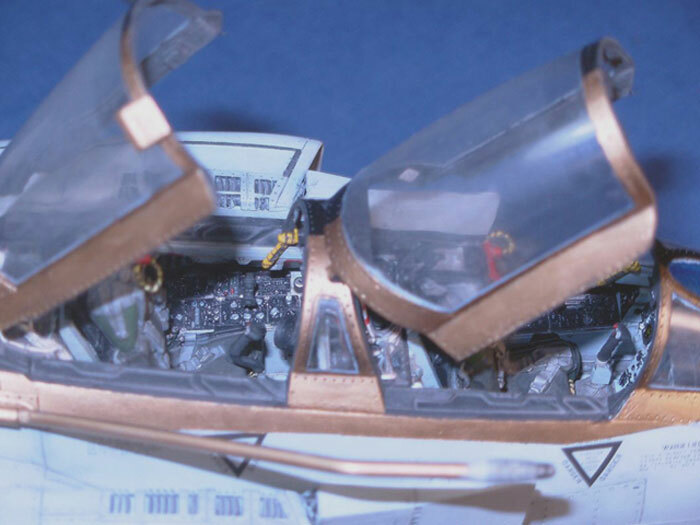 Black Box cockpit for RF-4E (the same for RF-4C). 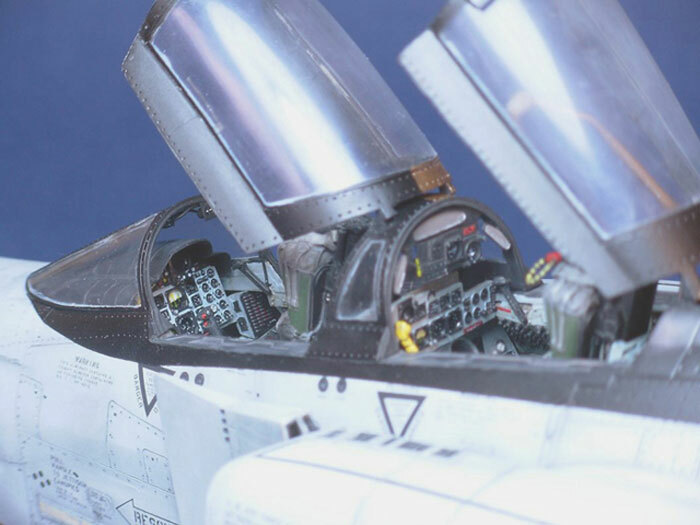 Cutting Edge nozzles for any RF-4C/C/E/F kit. 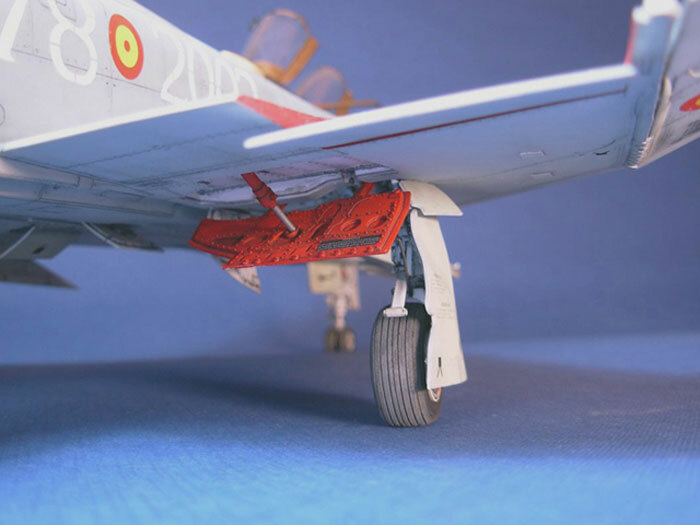 ...and various modifications from scratch (nose, cockpit, pylons, hook, tail, wedges of the wheels, nose antenna cover etc). 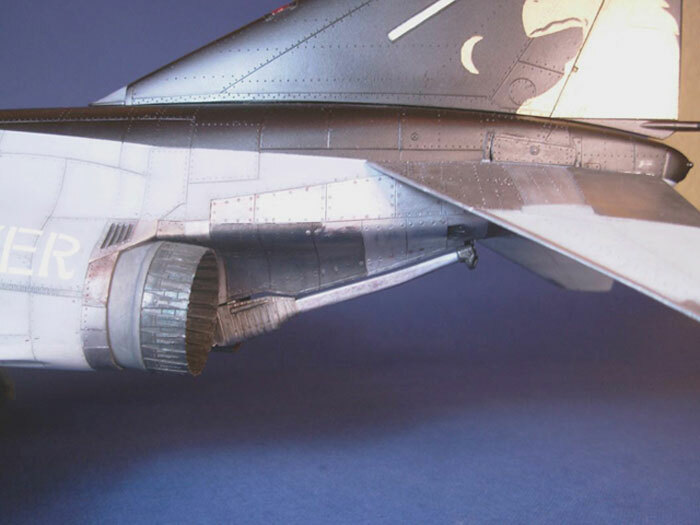 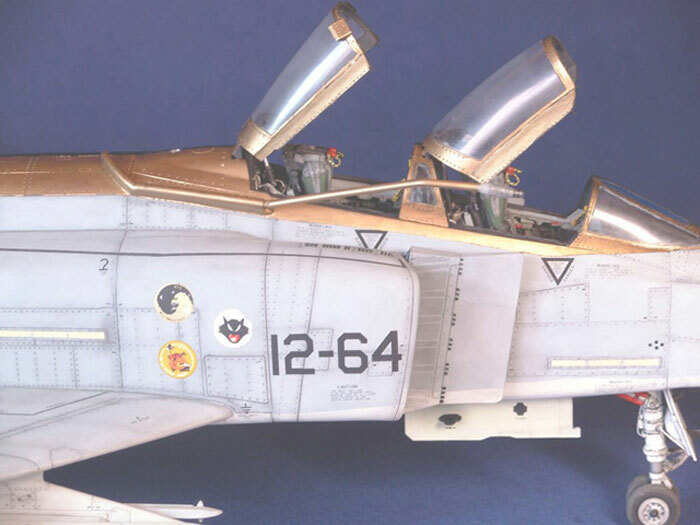 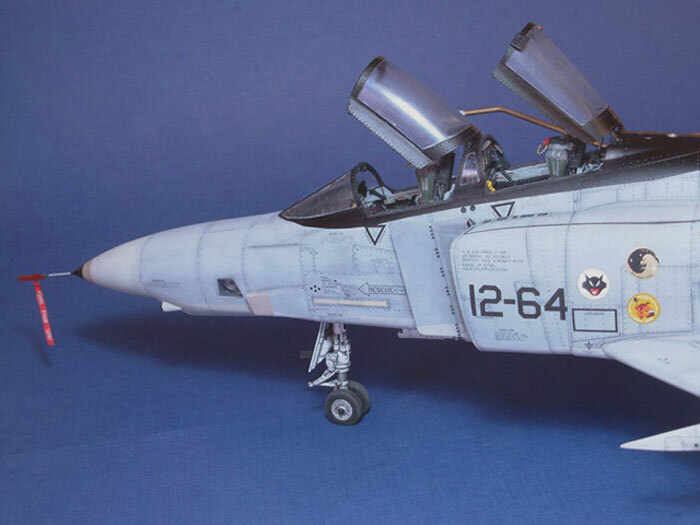 I painted this aircraft with Testor's Model Master "Light Ghost Gray" and Humbrol Light Gray, acrylics Citadel for gold and black by the commemorative scheme and metal parts of the rear fuselage. 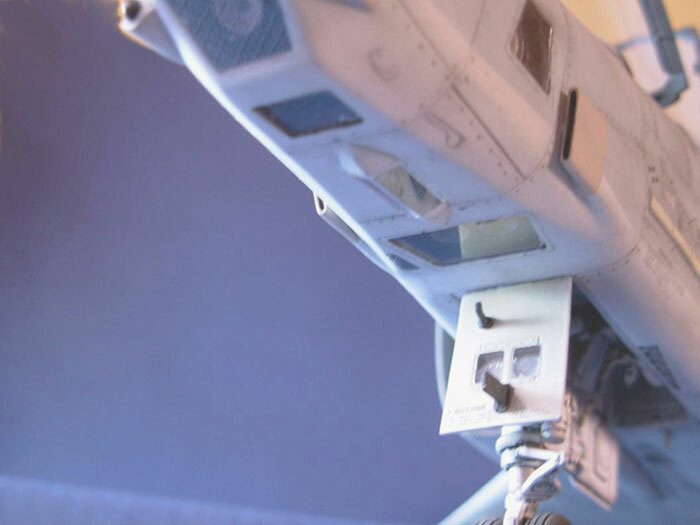 All weathering was done with Citadel acrilyc paints, pastel and pencil. 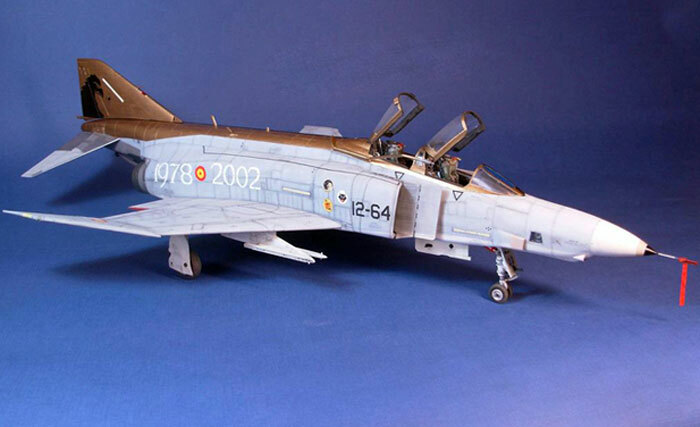 I used the new decals from Series Españolas (Spain). 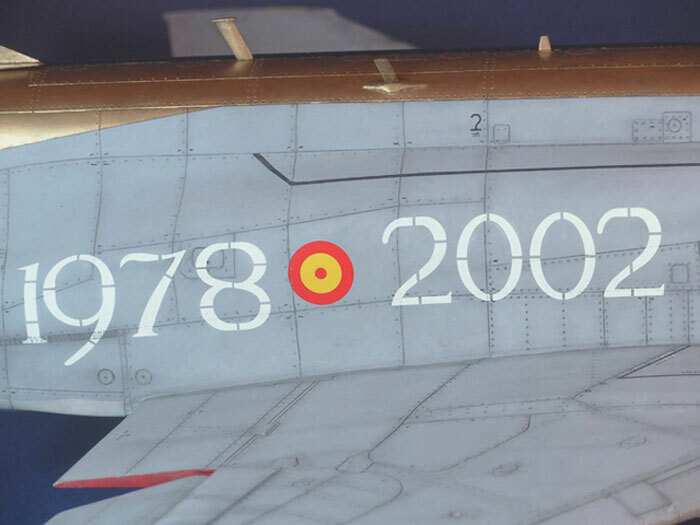 Thanks to my family and friends for their patience. 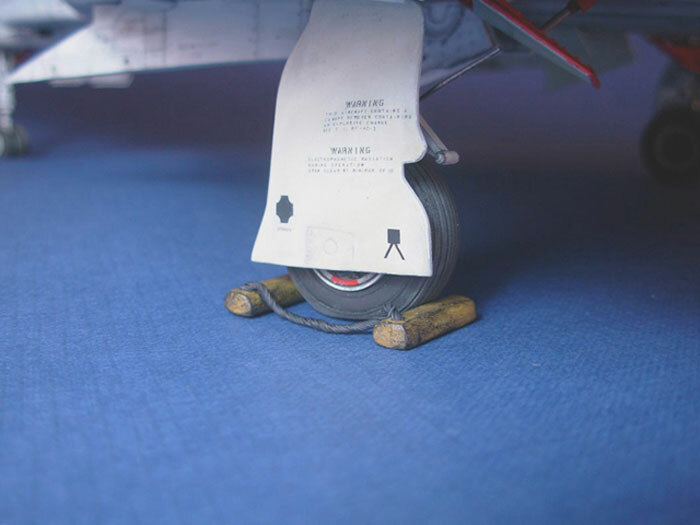 Photographs and Text Copyright © 2007 by Francisco Lara "Manimal"